Welcome to a brand new WhereArtI for 2016. 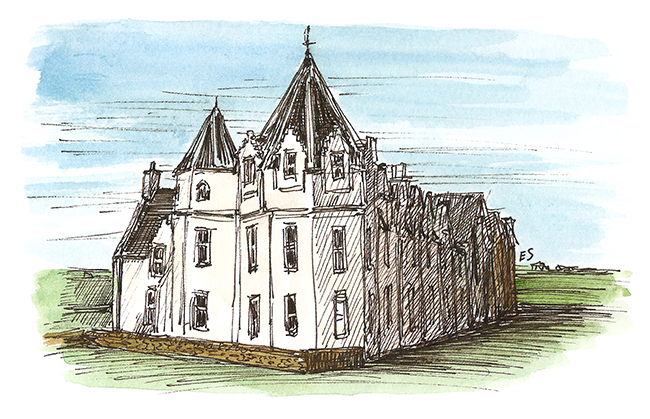 Can you name the Scotland location I’ve sketched below? The WhereArtI competition goes live every Monday morning at 8am, I sketch a location in Edinburgh, you tell me where I am. On the first Monday of each month however, the sketch could be anywhere in Scotland. There are points on offer for the first three correct answers, and this week the leader board has been wiped clean. Good luck every one! Keep an eye on the facebook and twitter throughout the day for clues if they are needed. Answer to come before the end of the day. You can change by name back to @dunedinhen if you want to keep things uniform.